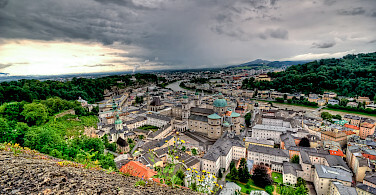 This bicycle tour in Germany and Austria combines the great beauty and traditions of Bavaria (colorful Baroque architecture) with the great musical city of Salzburg (Mozart’s hometown within an alpine setting)! Bavaria is famous for shady beer gardens. Enjoy a cool ‘Maß’ on your day of arrival. 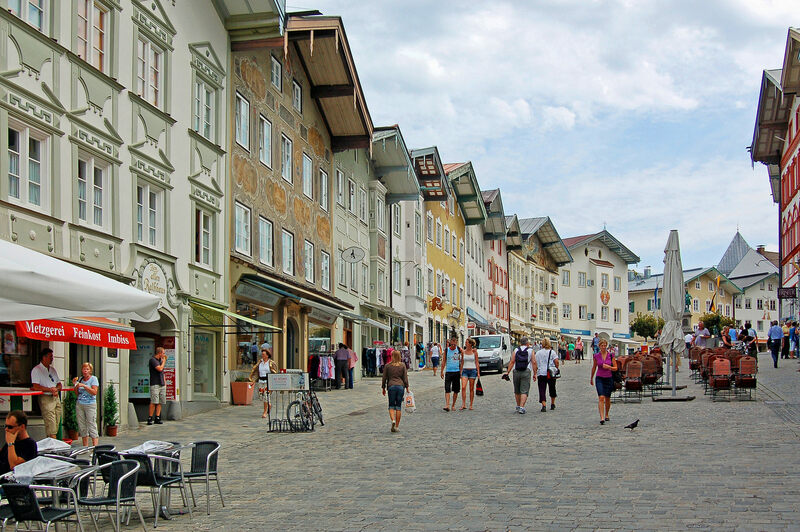 The cycling trek starts via the Isar bike path through green forests to Bad Tölz, whose former wealth as a major trading center is evident in the town houses. Your cycling days lead through the lovely pastures, around Lake Tegernsee and Lake Schliersee to Bad Feilnbach, the ‘Bavarian Merano’. 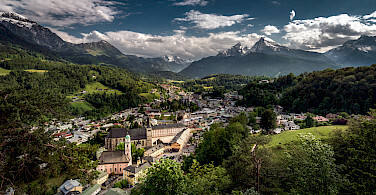 Cycle through the largest peat plot of Bavaria, Kollerfilze, and then via Neubeuern and Frasdorf, at the foot of the Chiemgau Alps, to Chiemsee. Enjoy a boat trip to the islands Herren- and Frauenchiemsee! 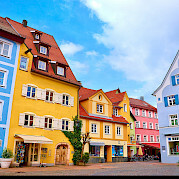 Through 'Bergener Moos', the route passes the spring town Bad Adelholzen, cycle further along the Rote Traun River to idyllic Inzell, a colorful city where the houses have decorative paintings and flowers. 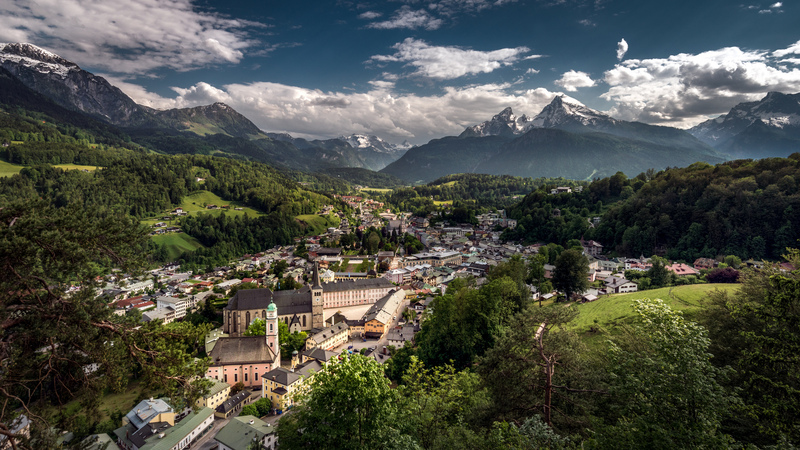 Berchtesgaden is known for its historic center, royal castle and Watzmann thermal spa. 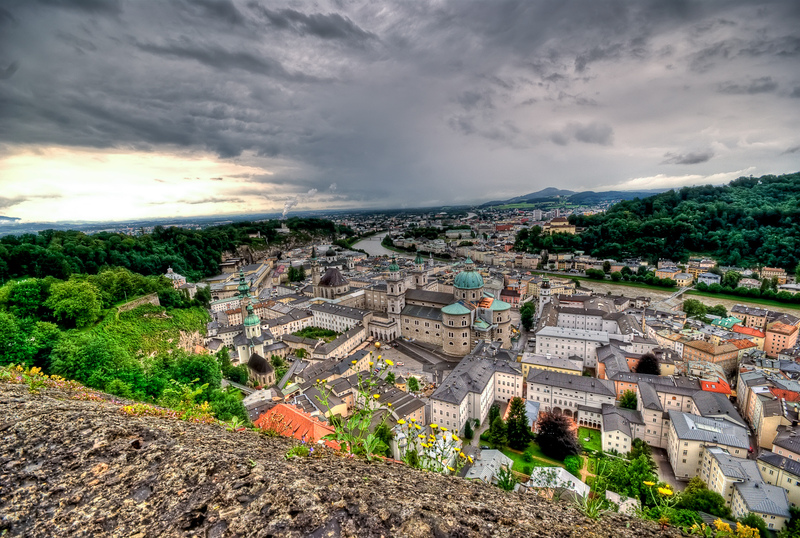 Then it’s across the Austrian border to Salzburg with magnificent Baroque architecture: the Hohensalzburg Fortress and Mirabell Palace. 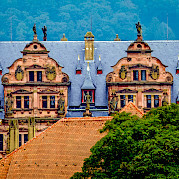 Want to see all of our bike tours in Germany? 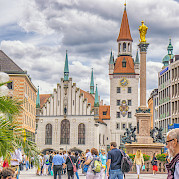 From the airport, take the train to Munich center and then short taxi to your first hotel. Electric bicycle available for this tour. 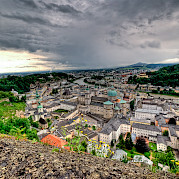 Excellent 3 star hotels in Munich and 4 star hotels in Salzburg. 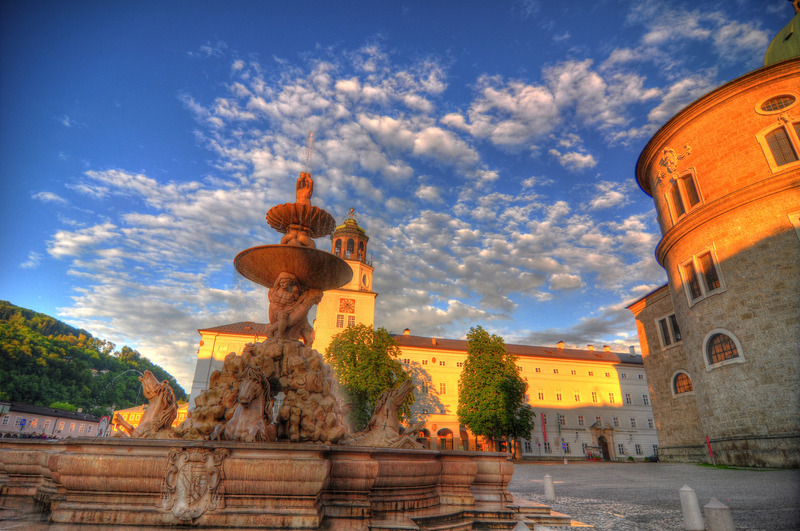 Extra nights possible in Munich and Salzburg. Easy to moderate, self-guided hotel tour. 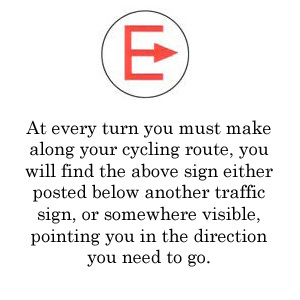 Distances cycled per day range from 22 to 40 miles. Mainly easy cycling, sometimes through rolling country. Partly on bike paths, mainly on quiet country lanes. some very short sections have to be cycled on roads with more traffic. The capital of Free-State Bavaria is famous for relaxing shady beer gardens. Enjoy a cool "Maβ" (1 liter of beer) and get a taste of all the delights to come. 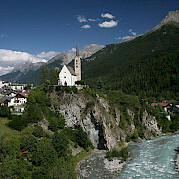 Following the Isar river, the bike path leads you through green forests via Wolfratshausen and Geretsried to Bad Tölz. 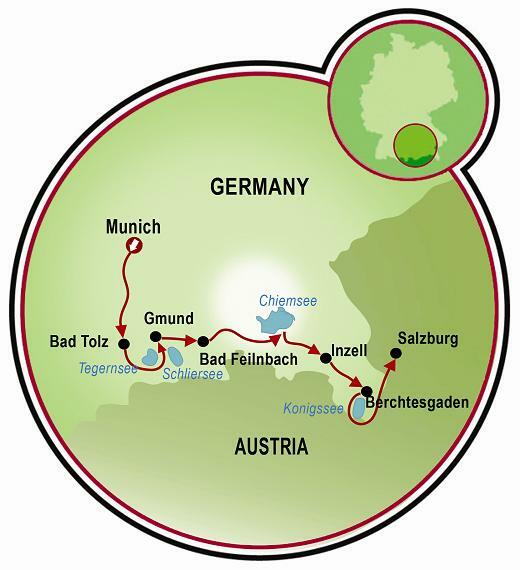 Here two main trading routes cross - the Isar river and the old salt route from Reichenhall to Allgäu. The former wealth can be seen in splendid town houses. Today you cycle through lovely pastures around Lake Tegernsee to Gmund where you will enjoy a marvelous panoramic view of the lake. Take a boat ride or ejoy a swim! Later, the tour continues on to Bodensee - Königsee bike path to Lake Schliersee. 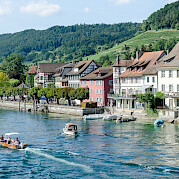 First, the route leads directly along the lake shore and on some hilly roads to Bad Feilnbach. 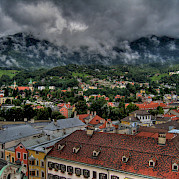 The mild climate and more than 30,000 fruit trees contribute to the nickname "Bavarian Merano. Today you bike Bavaria through the largest peat mining area in the region, the Kollerfilze. Soon you reach Neubeuern - a place symbolized by two crossed boat hooks. This refers to the important source of income from the past- the construction of boats. Further you go via Frasdorf at the foot of Chiemgau Alps to Lake Chiemsee. Tonight you stay on the south-bank of the Bavarian Sea. 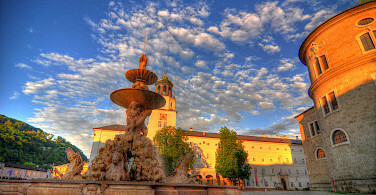 Enjoy a boat trip to the islands Herren and Frauenchiemsee. The mountains are getting higher - nevertheless you bike on mostly flat paths. Through "Bergener Moos" a moor at the base of Mt. Hochfelln (1.7 m), the route passes Bad Adelholzen (medicinal spring) to Siegsdorf (natural history museum). 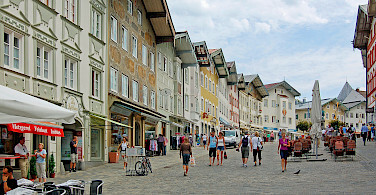 Following the Rote Traun river to idyllic Inzell you will enjoy "Lüftlmalerei", or decorative paintings on the houses. Today you bike on a narrow passage between the mountains and green valleys in between on Deutsche Alpenstraβe via Schneitzelreuth along the Saalach River to Bad Reichenhall Among the many sights and sites are the old town hall with its outdoor market, the old salt works building (tours offered regularly), St. Sebastian's quarter, the pedestrian Ludwig Strasse, Reber's Café, the Axelmannstein hotel, the spa park with its unusual brine inhalation building and the Minster of St. Zeno. Between mighty Mt. Untersberg and Predigtstuhl the bike path "Salinenweg" leads to Berchtesgaden famous for it's historic centre, royal castle, and the Watzmann thermal spa.